"As a three-year customer, I have the utmost confidence in the Game Face team, as well as their chief technology, Drupal. Our previous site had been built on a proprietary system, bound to the whims of a company whose dedication to customer service took a nose dive when our last big check was cashed. I was reassured by the size of the Drupal.org community. I have found Drupal relatively easy to master and very powerful, and have not needed much help from Game Face since they taught me to use it. When I asked Bram to recode our site for Drupal initially, I gave explicit instructions that the design be identical to the old, and it was. This year, after being shown some mock-ups, I had to admit that Game Face's vision for our site's new appearance was a good deal more sophisticated - and appealing - than my own. I love the new look! Recently, one of my employees accidentally deleted a number of pages. I emailed Bram at 8:30 am and my site was restored within the hour from a backup made the previous evening, which was a great relief (and typical of Game Face's customer service commitment)." "I trust Game Face. They are straightforward and demonstrate integrity in everything they do, with proactive communication at every stage. It is hard for me to step out of my own head and look at marketing from a customer's eye. Bram's sales-oriented recommendations have always made sense to me, and I trust his counsel. 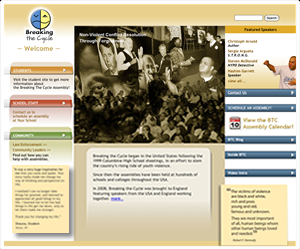 When we first approached Game Face for a redesign, I felt attached to our old site's look, and wanted only cosmetic changes. Bram recommended coming up with two design concepts, and though both work-ups were compelling, we went with the radical changes. They took our company image where we wanted it to go. I feel great about the results we've achieved. From our site visit statistics and PPC campaign reports, I feel Game Face provided excellent value for our investment, and we look forward to a long partnership." 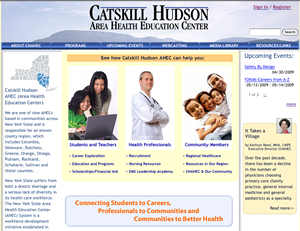 "We've been very happy with our new website that was both designed and implemented by Game Face Web Design in Kingston, NY. Their knowledge of site design, in particular the Drupal content management system, and their competitive pricing, made the decision to work with them a no-brainer. We've gone from a flat, non-interactive site, to one that offers our products and services using an online shopping cart, the ability to manage our events with an online event management tools, accept site registrations, readily and easily modify our other content, and more. They have also been very responsive when the inevitable problem turns up." "We needed a brand-new website for our work and GameFace fit the bill. They brought enthusiasm, many new ideas, and punctuality to the project and we now have a great site we can update ourselves. Game Face completed the site on schedule and on budget. They addressed every concern, and accommodated all of our design changes. Their team was attentive, warm, and thorough – we felt well cared for. The site did everything we required, and more. 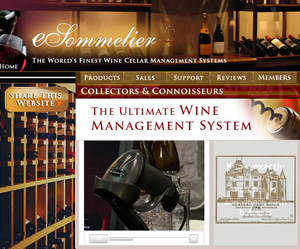 Once I began maintaining the site, I was surprised by all the options available to us. I am looking forward to beginning our next phase of work, where the site becomes an online learning environment for the school communities we work with. This will give our assemblies more staying power and impact. 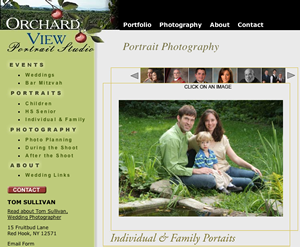 It is great working with a web design company that cares about our mission as well as their own. " 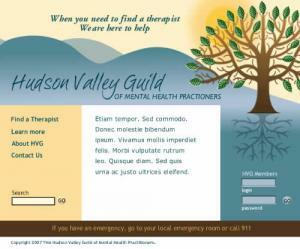 "When the Hudson Valley Therapist Guild was looking for an organization to help us develop a new web site for our members, we interviewed a number of local design firms. Gameface Design was ultimately selected because we like how their websites each have a unique, attractive look. We are very pleased with our collaboration. Game Face has developed a creative and user-friendly website for the Guild, and we have found Bram to be responsive and available during the on-going process. " "Your websites pull me right in...they're interesting, user friendly, attractive and UNIQUE...like us!" "I just had a bride and groom book an appointment with me and they thought the website was extraordinary. The loved the whole layout and thought it was beautiful, and that's why they called me. It worked!" When I went to Game Face's website I was completely impressed. 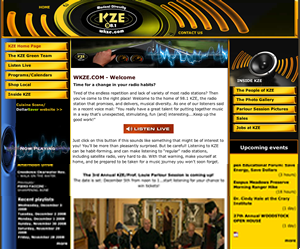 I easily found detailed answers to all my questions about the process of developing our website. The sports analogy of "The Game", "The Player", and "Play Ball" defined Game Face's strategy and work philosophy, as well as my responsibilities as a client. I was relieved of the feeling that web design is a mystery. After our consult, Game Face delivered a comprehensive redesign proposal for our review. We thought our concept was pretty complex, but they met the challenge easily, making simple goals and breaking the tasks into manageable and understandable phases, complete with an itemized budget. We're excited about going forward with Game Face.